Photography takes a whole new meaning as a cushion, it supports, is sat on, looked at in a context of a home, looked down on, or in an outside setting. I see the world in its surprises the light through the distance, the surprise of the new growth on the old log, my drawings reinterpreted, close=ups distorted and colour made ever so much more lush. 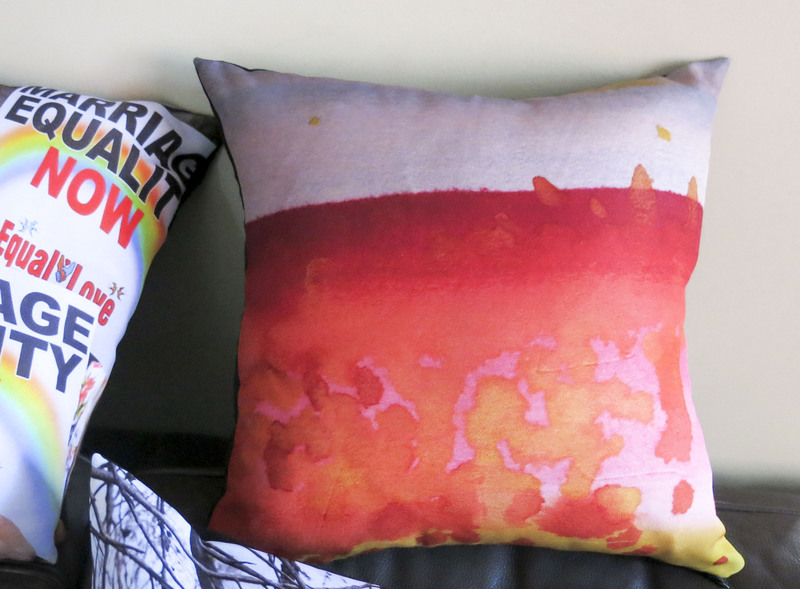 I am a photographer, painter and installation artist, but these cushions extend my pallet of expression.